Three Saints Press, 9780998511115, 328pp. Fleeing from her old life in Los Angeles, Jessa moves to Colorado to live with her dad, but her anxiety only gets worse in the wake of the accident. That is, until she meets Marshall, a boy with a heart defect whose kindness and generous spirit slowly draw Jessa out of her walled-off shell and into the broken, beautiful, real world--a place where souls get hurt just as badly as bodies, and we all need each other to heal. 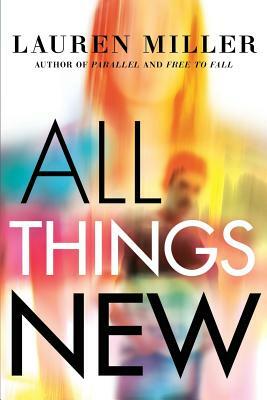 "All Things New is a deeply honest and personal story of mental health and authenticity that will make you feel less alone." - HelloGiggles, "17 books we can't wait to read in August"
"ALL THINGS NEW is a daring, beautiful novel, exquisitely told and full of heartache and hope." - Jessica Khoury, author of the ORIGIN trilogy and THE FORBIDDEN WISH.